A fantastic African Lodge experience. This luxury lodge is situated in the famous Sabi Sand private reserve which is open to the Kruger Park. (no fences). 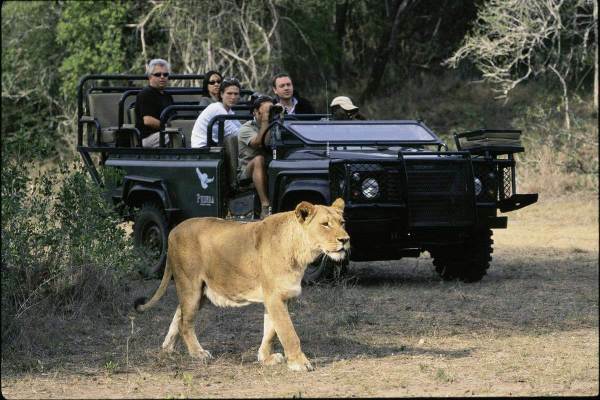 All safaris are conducted in open 4x4 vehicles which allows for excellent and up close viewing of animals. Big 5 game walks allow an opportunity to track animals on foot. This safari is highly recommended for those looking for more comfort. After checking in there is ample time for lunch and to relax before partaking in an afternoon game drive. All game drives are conducted in open 4x4 vehicles which offer excellent viewing and photographic opportunities. A stop for sundowners at sunset before heading back to the comfort of the lodge and dinner under the stars. A wildlife treat awaits. Begin the day with a sunrise game drive. Early mornings are excellent for spotting animals as they are generally on the move in the cool of the morning. Accompanied by experienced guides and trackers the chances of spotting the famous Big 5 are very good. Been a private reserve - the safari vehicles are able to leave the road and get up close to the animals. Returning to the lodge for breakfast you then have the option of a guided game walk. Accompanied by an armed ranger, a bush walk offers an opportunity to track game and learn more about the bush. For those who prefer a more relaxed time you can take advantage of the many facilities on offer or just soak up the sun by pool. After lunch and perhaps a siesta, we head out on an afternoon / sunset safari drive. Once again a stop for sundowners and a chance to enjoy an African sunset. 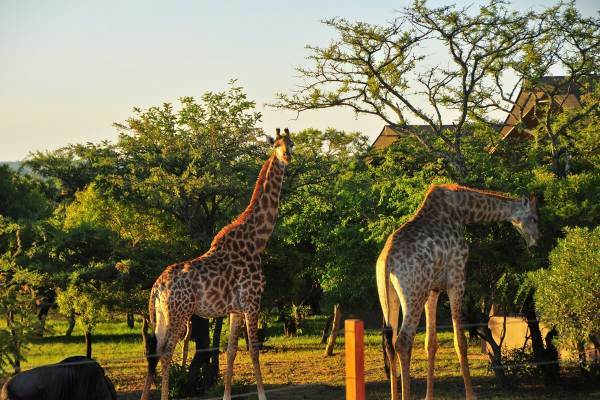 Note that both morning and afternoon game drives last between 3 - 4 hours. Dinner is once again enjoyed in the boma, and you can expect a traditional South African “braai”. (barbeque). 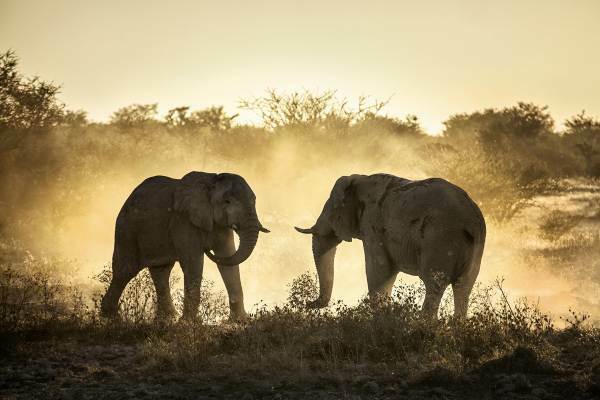 Enjoy a final sunrise game drive and a last chance to spot any of the animals you may have missed. After breakfast our safari adventure comes to an end.